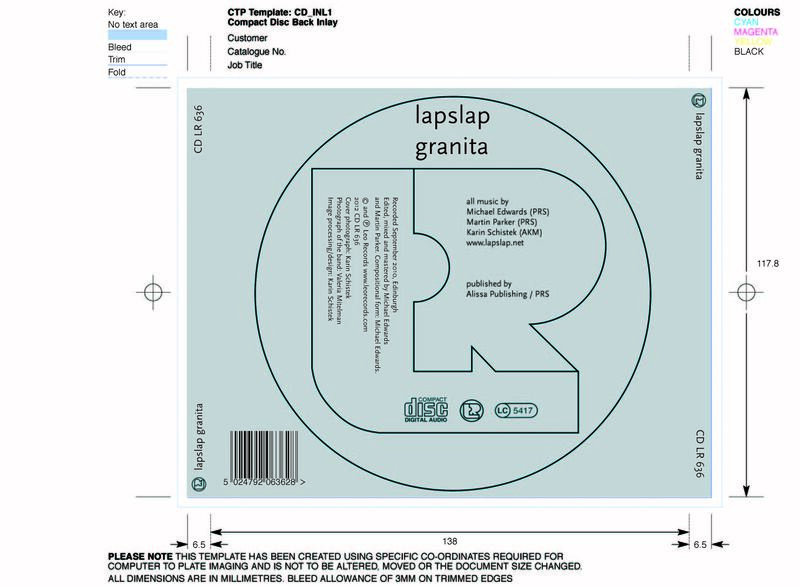 Our fourth and final (for this series at least) lapslap CD is now out on Leo Records. As the booklet text below attests, in contrast to our previous CDs I made the form for this one-hour piece in post-production. It was a labour of love but I wanted something special for this final CD and think it was worth it. Continuing the Italian dessert theme of our last CD, Granita is widely known as a semi-frozen Italian dish made from sugar, water, and something tasty. A cheap and sweet mouthful then, however apposite this may or may not be to the music on this disc. What is represented here took an enormous amount of labour over more than a year. This is due in the main to the goals we had and the approach we took. Granita is a single piece of music lasting one hour. It was made to be listened to in one sitting. The individual tracks are offered only as convenient “jump in” points, should the listener want them. The CD is composed from several long improvisations which, contrary to our prior recording practice, were never intended to be complete pieces by themselves. It was our conscious intention whilst recording that we lay down material to be combined with, or abutted against, other improvisations. The compositional form was made in post-production then, even though all elements were improvised live and made together as a trio. The title is significant on two further counts. The cover art–designed around a photo taken by lapslap’s pianist Karin–is an image of a granite rock face in Cornwall, England. 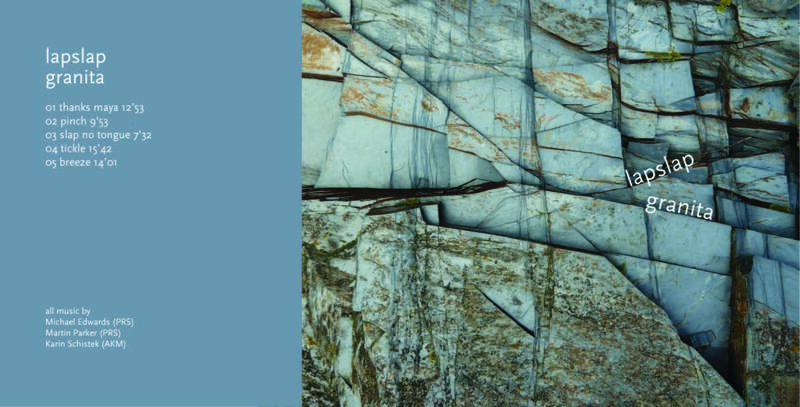 There’s something in the form and scope of the music that we (hopefully not arrogantly) associate with this massive rock type. Granita was also the name of the restaurant where Tony Blair and Gordon Brown made their power-sharing pact whilst still in the shadows of government in May 1994. Ironically, the restaurant was taken over in 2003–the year of the deeply divisive and offensive Iraq war–by a Tex-Mex called ‘Desperados’. As we were finishing the mix and master, the last American troops were withdrawing from their illegal occupation of Iraq. 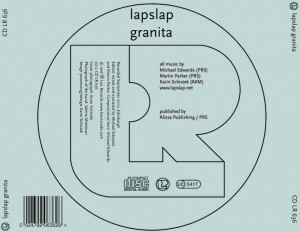 Granita was recorded by Michael and Martin in the Reid Concert Hall, Edinburgh, in September 2010. Mixing and mastering was also by Michael and Martin. Cover design by Karin Schistek.